If the first thing you thought when you read the title of this article was, “Well duh – test your father,” you would be right…unless your father is deceased. Then, it’s not nearly as straightforward, because you have to find other family members who carry the same Y and mitochondrial DNA as your father. These same concepts and techniques can be applied to testing for other men’s lines as well – so please read, even if Dad is sitting right beside you. Before beginning this article, you might want to read “4 Kinds of DNA for Genetic Genealogy” to understand the very basics of how different kinds of DNA are inherited, and how they can help you. I was inspired to write this series of “Who to Test” articles to help people determine how to obtain the DNA they need to solve family mysteries from ancestors in their tree. For the most part, those ancestors are deceased, so one must understand how to obtain their DNA by testing living descendants descended in special ways. In this series, we’ll be discussing how to test all of the individuals above for their mitochondrial DNA and males for their Y DNA. Y DNA lineages are shown by blue lines and mitochondrial DNA lineages are shown by pink lines. In the charts below, different colored boxes and hearts showing the descent of blue male lines and pink(ish) mitochondrial lines. In other words, the son at the bottom inherits his father’s light blue Y DNA, but his mother’s pink mitochondrial DNA that is the same as his sister’s and his mother’s mitochondrial line. Hence, his pink heart. What Can Y and Mitochondrial DNA Tell You? Both Y and mitochondrial DNA can tell you about your clan, meaning where your ancestors in that particular line were found. Many people have been surprised to find that these particular lines descended from Native American, Asian, Jewish, European or African ancestors. Some clan assignments, known as haplogroups, can be quite specific, but others are more general in nature. You also receive matches and can communicate to find your common ancestor. Males can look for surnames the same or similar to their own. You can read more about what mitochondrial DNA can do for you in the article, Mitochondrial DNA – Your Mom’s Story. You can read more about what Y DNA can do for you in the article, Working with Y DNA – Your Dad’s Story. Testing your father’s Y and mitochondrial DNA is easy, if your father is living. You can simply test your father. As you can see in the chart above, your father inherited his Y DNA from the light blue line, from his father, which is typically the surname line. Your father inherited his mitochondrial DNA from his direct matrilineal line, meaning the magenta line – your paternal grandmother and her direct maternal ancestors. Your father did NOT pass his mitochondrial DNA to either of his children and he only passed his Y DNA to his son. His daughter has no Y DNA and her mother’s mitochondrial DNA. You can test both your father’s Y DNA and mitochondrial by simply testing your father. However, testing becomes more challenging if your father is not available to test. Your goal then becomes to find people who carry the same light blue Y DNA as your father, and the same magenta mitochondrial DNA that he carried as well. Let’s look at various ways to achieve that goal. If you are a male, meaning the son in the chart above, just test yourself for your father’s Y DNA. Of course, you carry your mother’s mitochondrial DNA, shown by the pink heart that matches your sister, so you will have to find someone else who carries the same mitochondrial DNA as your father. If you are a female, you can’t test for either your father’s Y or his mtDNA line. However, all is not lost. If your father has any full male siblings, that’s your next best bet, because they will carry the same Y DNA and the same mitochondrial DNA as your father, because they share the same parents. You can test the same uncle for both Y and mitochondrial DNA. A brother and sister to your father have been added to the chart, below. In the above chart, your father has two siblings, a male and a female. All three share the same mitochondrial DNA, but only the males share the Y DNA. Your father’s brother shares both. Your father’s sister shares his mitochondrial DNA, but not his Y DNA, shown above. However, let’s say you’re the daughter and that your father and his brother are deceased. You can test your father’s sister for her mitochondrial DNA and you can test your own brother for your father’s Y DNA, shown below. Don’t have a brother but your father’s brother had a son? No problem. Test the brother’s son who will carry his father’s Y DNA, which is the same as your father’s Y DNA, assuming nothing unknown. You say your father’s sister is deceased too, but she had a child of either gender. No problem, you can test that child, whether they are a male or female for the sister’s mitochondrial DNA, which is the same as your father’s mitochondrial DNA. In the chart above, all of the people with sky blue squares can test for your father’s Y DNA and all of the people with magenta squares or magenta hearts can test for your father’s mitochondrial DNA. As you can see, you may well have lots of options. Family Tree DNA is the only testing vendor that offers Y and mitochondrial DNA testing that allows you to match to others. Additionally, they provide additional tools to understand the message Y and mtDNA carries for you. For Y DNA testing, you can order either the 37, 67 or 111 marker test. I recommend that you purchase what the budget can afford. You can always upgrade later, but the cost of the original test plus an upgrade is somewhat more than just purchasing the larger test initially. The greater the number of markers you purchase, the higher the level of specificity in the match results. The more closely you match someone, the more closely related you are to that person, and the closer in time your common ancestor lived. If you’re unsure what to purchase, 37 markers is a great place to begin. For mitochondrial DNA testing, you can order the mtDNA Plus test, which is a subset of the mtFull Sequence test. In order to receive your full haplogroup designation, the entire mitochondrial DNA needs to be tested. I recommend the full sequence test be ordered. For autosomal DNA testing, everyone can test, and as long as you’re placing an order, I’d suggest that you go ahead and order the Family Finder test. You can discover your ethnicity percentage estimates for several worldwide regions, including breakdowns of Europe, Africa and Asia as well as Native American and Jewish. Additionally, while the Y and mitochondrial DNA tests reach back deep into time on those two specific lines, and only those two lines, the autosomal test tests the DNA of all of your ancestral lines, but may not reach back reliably in time for matches before the past 5 or 6 generations. Think of Y and mtDNA as viewing recent as well as very deep ancestors on just those lines, and Family Finder as broadly surveying all of your ancestors, but just in the past 7-10 generations. The fun of autosomal DNA testing, aside from ethnicity estimates, is to discover which cousins you match and find your common ancestor. 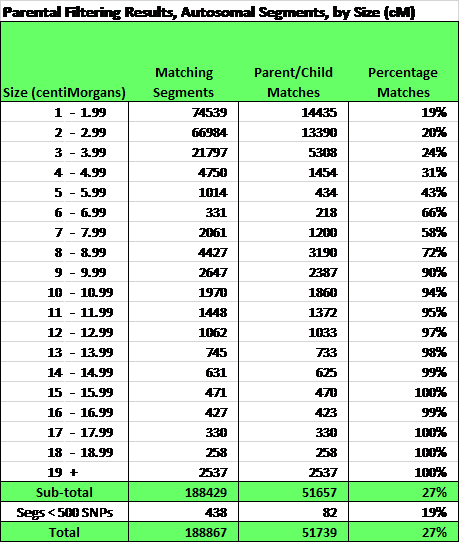 In order for Family Tree DNA to be able to provide you with phased Family Finder matches, which indicates on which side of your tree (maternal or paternal) your match is found, helping to identify common ancestors – it’s critical for known relatives to test. The older the relative, generationally, the more helpful the testing is to you – so test those older family members immediately, while you still can. You can order your tests and upgrades here.